What comes to mind when jewelry is mentioned? Would it be diamonds? How about gold? Most of us prefer buying gold jewelries especially those who are into buying and reselling for profit. Gold jewelry usually has markings on it. These markings tell us how much gold there is in a piece of jewelry. They are made of numbers and sometimes they come with letters. The usual markings we can find in jewelries are 417 or 10K for a 10 karat gold piece of jewelry. It is a simple karat mark. 417 gold means that the piece you have on hand has 41.7% gold and the rest is alloy. Now let's explore and learn more about gold. Since a lot of jewelries come in gold, it is important for us to know how we would be sure that what we are getting is really gold. It is also important that we know how much gold we are getting. Did you know that gold is soft? In fact pure gold is very soft that it can be formed by just using the hands. It is the most flexible metal that an ounce of it can be spread into a 100 square feet sheet. Gold is used as a material in metalwork. 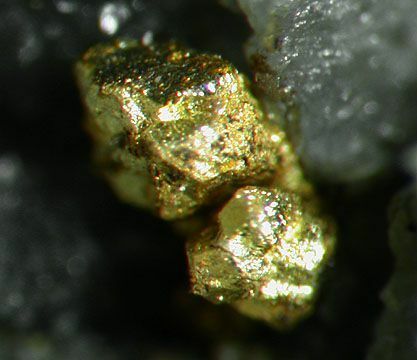 Gold can be mixed with other alloys to make it stronger and harder. It is not affected easily by exposure to water, air or any other substances that may cause it to rust or discolor. It is also used as a conductor of electricity. Gold is measured by karats. When you go to a jewelry shop you will notice markings on every piece, which are indicators of how much karat of gold that piece has. Usually you will find 750, 585 and 417 gold markings, which only mean that each piece is 75%, 58.5% and 41.7% gold and the rest of it is alloy. In a simpler term the 750 gold stands for 18 karat or 18K, 585 gold is 14 karat or 14K and the 417 gold is for 10 karat or 10K. When you buy pieces of jewelry and view them with a magnifying glass, you will notice some markings. You will see these markings on the inside part of a ring, at the clasps of chains and bracelet and on the posts of earrings. These markings would signify the gold content of each piece. These may not be 100% guarantee of the gold content as there are jewelries that are marked with fake markers while others, even though they do not have markings, are still made of high grade gold. The markings could have been abraded. The jewelry has been re-sized. It has been custom made. It was made by a common jeweler or homemade. Gold does not tarnish or discolor, so if a piece of jewelry is discolored it is not gold. When comparing the weight of your gold jewelry to a piece that is similar in size, the gold piece should weigh more since gold is very dense.